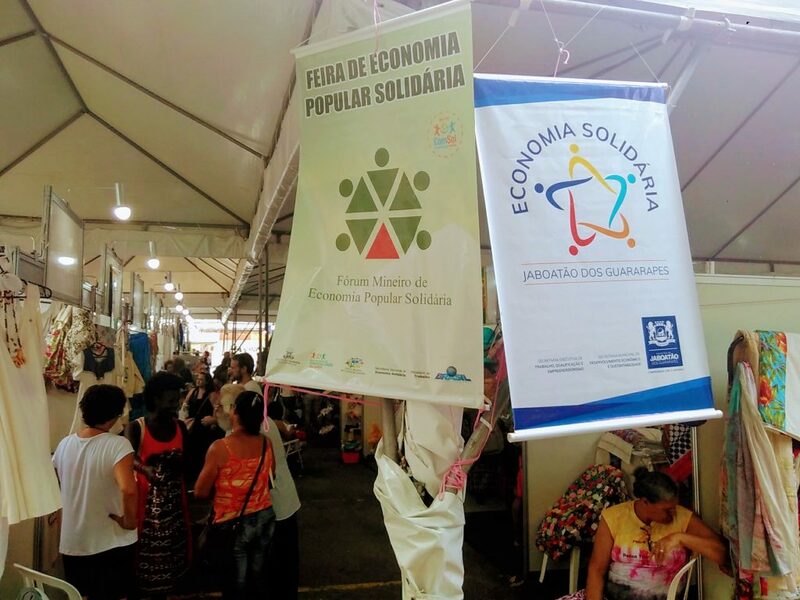 At the World Social Forum in Salvador de Bahia, the global thematic forum on transforming economies (Barcelona – April 2019) was presented. 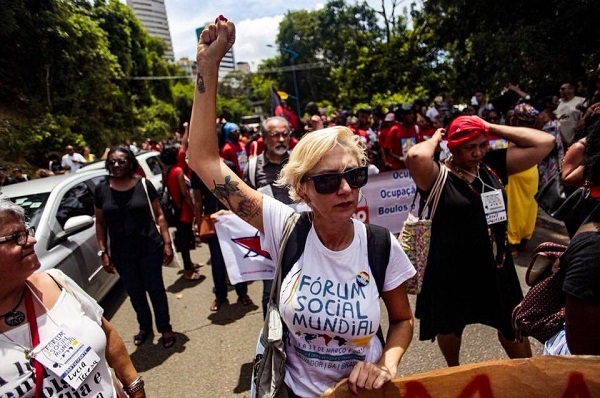 From the 12th to the 17th of March the thirteenth edition of the World Social Forum was held in Salvador de Bahia, Brazil, with the slogan “resist is to create, resist is to transform“. 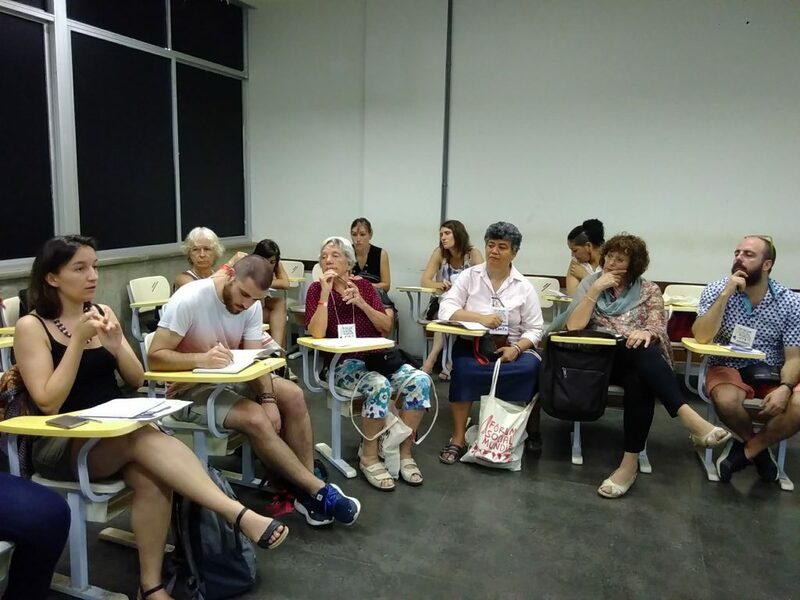 In an explosion of color and proposals, under the Brazilian heat, the Federal University of Bahia (UFBA) hosted on its campus an extensive programme full of activities, seminars, workshops, debates, meetings, assemblies, shows as well as demonstrations and protest moments on its campus. 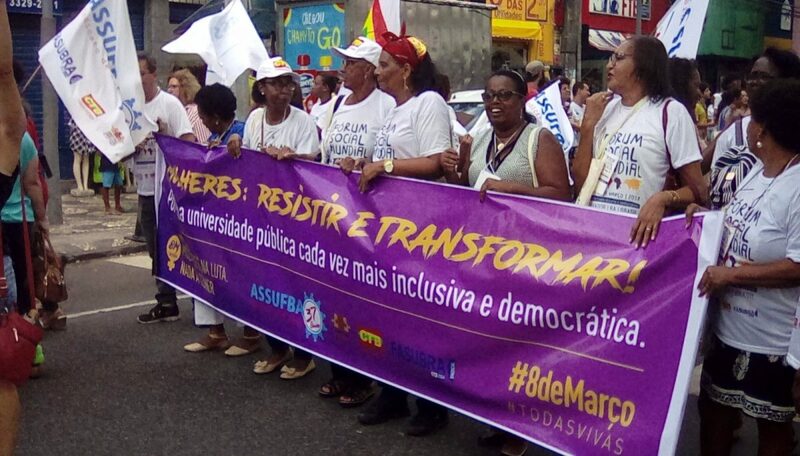 A joyful opening march invaded the center of the city, while many emotional spontaneous manifestations took place throughout to protest the murder of the activist Marielle Franco in Rio de Janeiro. She was assassinated for her denunciation of the militarization of the most disadvantaged neighbourhoods and her tireless struggle for the rights of the women and the Afro-Brazilian population. Together with other activities dedicated to the networking of RIPESS LAC (the Latin America and the Caribbean SSE coordination) and to the proposal for a Global Curriculum for economy solidarity, the delegation comprised of representatives of RIPESS Intercontinental, RIPESS Europe and the Xarxa d’ Economía Solidària (XES) Catalunia, had as main objective to introduce the proposal of organizing a World Social Forum on Transforming Economies, scheduled to take place in Barcelona in April 2019. 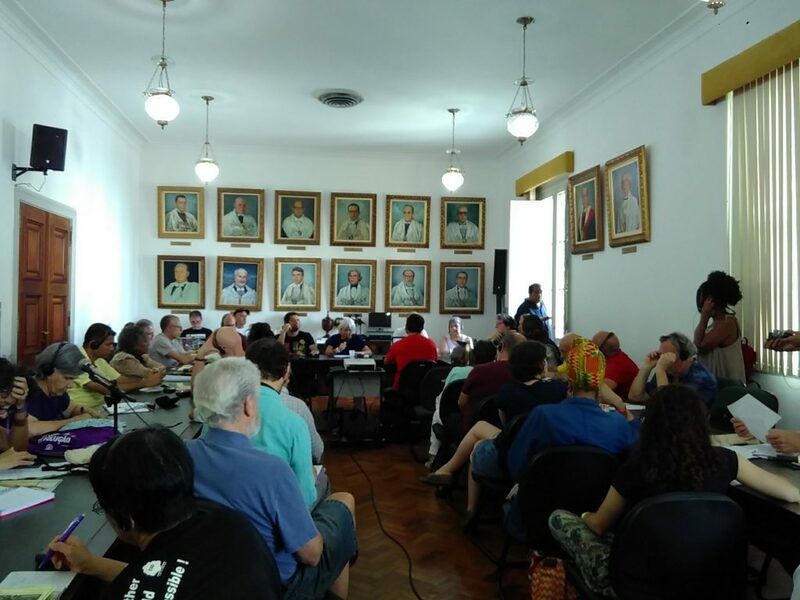 The 15th of March the presentation activity was attended by some thirty interested people, including the organizers of the WSF of Quebec in 2016, representatives of the Forum of solidarity economy in Brazil (FBES), ATTAC, of the COLACOT (Coordination of Latin American cooperatives), the dialogues Rede em Humanidad and of the Alliance of progressive foundations EDGE. Bringing together multiple solutions and existing alternatives to the capitalist system had already been expressed at the World Social Forum in Montreal of 2016. There is an urgent need for those movements from around the world to converge, to open up to networks of public authorities and universities, to strengthen alliances and create common strategies that can have a stronger impact. Solutions for a resilient, co-operative and solidarity based society already exist and have to expand on a larger scale, as we need to promote public recognition of the transforming economies. The following days were of an infinite wealth of contacts and searches for support of the Forum and the exhibition at the “Agora of the future”, culminating in the presentation of the proposal, to the International Council of the WSF, on Sunday morning. It was immediately included in the agenda of global mobilisation. Once the way is open, and with the complicity of increasingly more organisations in the world, we can say that there is no turning back. Both RIPESS Intercontinental and RIPESS Europe and the XES undertake to carry out this ambitious proposal of convening the Transforming economies thematic World Social Forum the first weekend of April 2019 in Barcelona.